← So let’s start at the beginning or the middle …wherever. Writing a memoir about the journey of my daughter Alicia and our family during one of the most difficult, challenging, painful and indeed overwhelming chapters of all of our family’s life was… hmmmm…. the easy part! Up until about half an hour ago I never really thought of myself as a writer never mind an author. So all of it really is uncharted territory. Trust me when I say that I am perhaps more surprised than any one that I was able to sit still long enough to produce and publish a book. During one of my recent talks since the publishing of To Dance in the Rain – A Mother and Daughter’s Journey of Hope and Healing, I mentioned that I had been pinching myself since the shipment of books arrived at the door. Well, I hate to sound as though I haven’t come all that far, but I still am. This acknowledgement is in no way self-deprecating; I am proud of what I have created. I’m thrilled with the amazing response to the book that has been shared by so many and I am exuberant about seeing the art that crept up from deep inside and with the simple tools of pen and paper was able to blossom into a new passion. 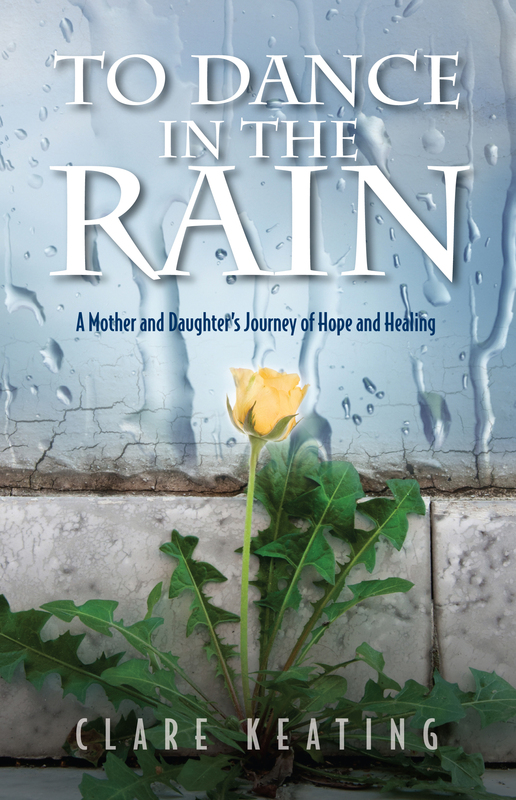 I would like to share with you the process, whys and wherefores of the writing and self-publishing of To Dance in the Rain A Mother and Daughter’s Journey of Hope and Healing in upcoming posts.